The French have a particular way of doing things, eating out included! 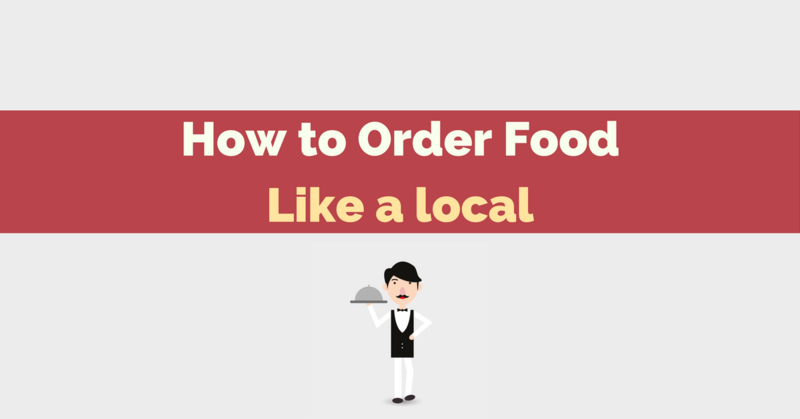 Fret not; we’re here to explain complicated menus, French customs and useful phrases to get you ordering food like a local! 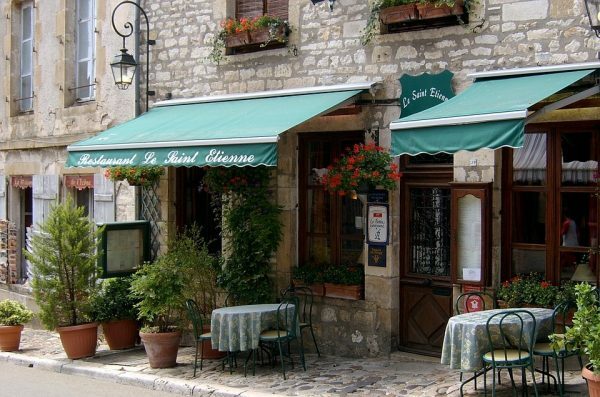 Wherever you decide to eat or drink, it’s best to brush up on some phrases first to make your experience much more pleasurable, not to mention impress the French locals! Est-ce que c’est possible d’avoir une table pour ____ personnes s’il vous plaît? Can I have a table for ____ please ? Avez-vous une suggestion/une spécialité? Do you have a suggestion/a specialty? Est-ce qu’il y a un plat du jour? Is there a daily special? 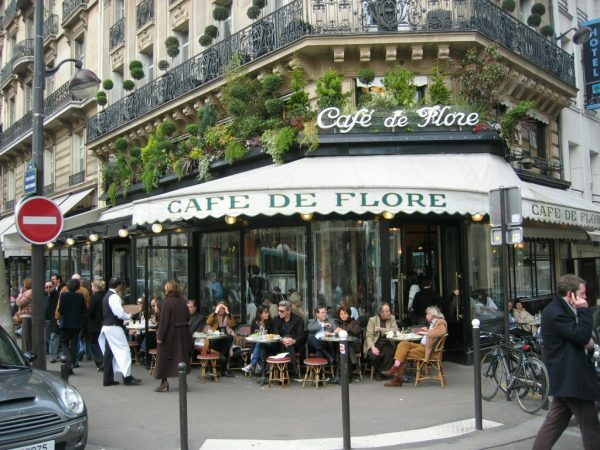 The term café in France should be taken rather loosely, as they are not strictly for coffee, tea and cake. Many casual restaurants act as cafés around eating times so they’re the place to go whether you’re after a quick espresso or a croque Monsieur. You shouldn’t wait to be seated, but instead grab a table that takes your fancy before someone else does first! The seating is often cramped–especially on the Parisian Terraces–having classic ‘bench-like’ set ups of tables in rows. But don’t be put off; they are surprisingly charming and perfect for people watching! You may find the service rather brusque at a café. The client turnaround is high, so serving staff don’t focus too much on creating a rapport with clients. 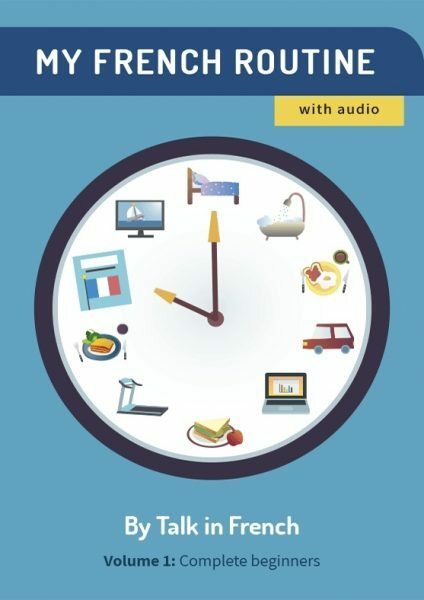 With that said, don’t feel obliged to move upon finishing your last mouthful—the Parisians often read a book for a whole morning over a coffee costing only a euro. The French service is much less formal than in other places around the world. Staff are allowed to smoke on show outside. And don’t be surprised if you catch them on their phones while standing behind the counter in full view–they certainly won’t be! Unlike cafés which are open from morning to night, restaurants open solely for food. You should expect to pay a little more and receive something more formal in return. Getting a reservation is often recommended, and you should always wait to be seated. 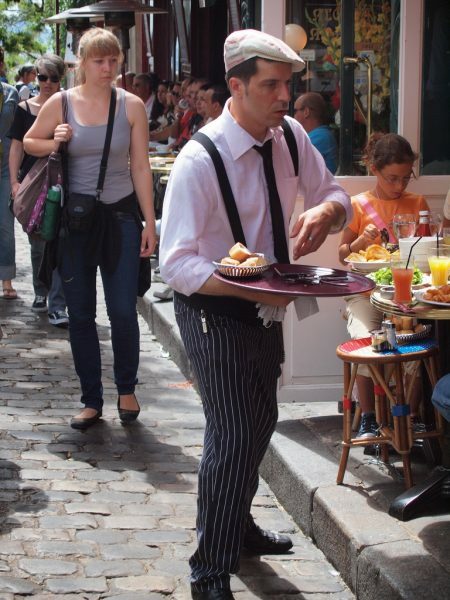 The service should be more attentive, with waiters much more open to helping you with translations and any questions you may have. Unlike café meals – which are usually quite basic – here you can enjoy France’s culinary delights spread across three courses. You will normally be served bread as a couvert, followed by a starter, main, and dessert. A cheese course is also usually offered. With all this food you are usually guaranteed the table for the night, promising you a relaxed experience. Lunch Set Menus are also often offered–definitely worth checking out If you want to experience some of France’s fantastic food on a budget. Don’t hesitate over asking for tap water – it’s the thing done in France and quite rare to pay for bottled water. 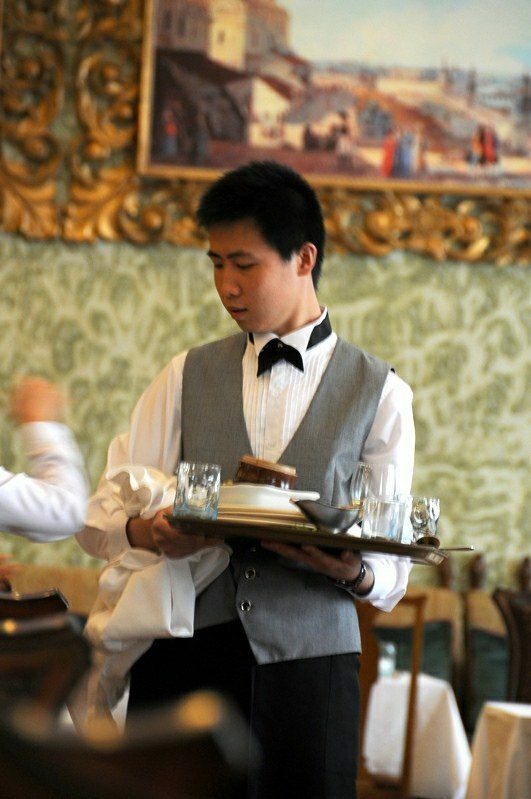 It is not common to tip after a meal; the service charge is usually included in your bill, and staff do not expect to receive anything extra. The 10% rule most certainly does not apply. If you really do enjoy the sublime service and want to show your gratitude, a few euros is more than enough to put a smile on your servers face! Take-outs are becoming increasingly popular in France. Don’t be put off by the quick conversations and unfamiliar terminology—many words are actually the same in English, and if you’re really stuck, there’s always pointing! Food is usually cheaper if you opt to take-out, and during the working week you can snap up some great deals. Everywhere from Boulangeries to Mexican Street Food outlets have jumped on board, so whatever you fancy, there’s no need to stop exploring when you can grab it ’n’ go. Remember, folks: practice makes perfect. Now, is there ever a better excuse to go crazy on French food than that!? Do you have more tips to add to this? Make sure to leave a comment below. Grab your copy of Paris for Foodies, your ultimate guide to eating in Paris! 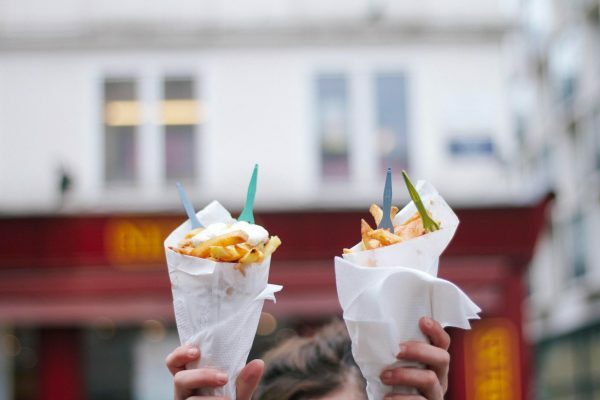 Discover the best places to eat per arrondissement and get lots of useful tips. Check it out by clicking the image below.